Packing for a vacation, whether a long trip to a city or a short weekend getaway, is not always easy. Between remembering your tickets, passports, appropriate clothing and more, you may find that you forget some essential accessories. Some of these accessories are difficult to buy in certain countries if you travel abroad, and others are nearly impossible to live without. Here is a list of the top ten essential travel accessories you’ll probably forget. Hopefully thanks to this list, you will remember to pack each and every one! 1. Phone Charger: Many people think they won’t use their phone abroad, so they don’t remember to bring a charger. However, even being turned off for a week or two can drain your batteries, meaning you won’t be able to call when you land back at home. Bring your charger to keep the battery full in case of an emergency, flight delay, or any other problem that arises. 2. Travel Iron: When packing your suitcase, a travel iron might seem like an unnecessary and bulky item. However, when you unpack your clothes at each destination, you might find they are wrinkled and unwearable. Rather than spending your time hunting around for an iron in a new city, just bring along a small travel iron to smooth out any wrinkles quickly and look your best traveling. 3. Power Converter: It’s no good bringing your devices to charge in a foreign country unless you also have a converter on hand. Just a simple device will make it so that you can use your hair dryer in France, your phone charger in Hong Kong, or your travel iron in Cape Town. 4. Power Strip: This is not an accessory most people think to pack, but it can be very useful when traveling in your home country to an unknown destination. You may get a hotel room and want to charge lots of devices: your camera, phone, iPod, and more. However, there may not be enough outlets to do so. Bringing a power strip gives you the option to plug in several devices to charge wherever you are. 5. 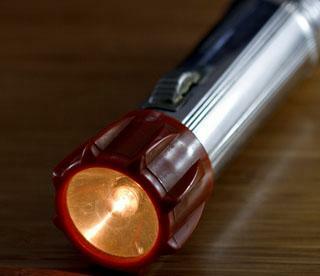 Flash Light: Whether you plan on staying in a luxury hotel or camping in the woods, a flashlight should be included on the list of thing you bring along. Losing electricity at home is bad enough-in a new location, you may not know what to do or where to go. 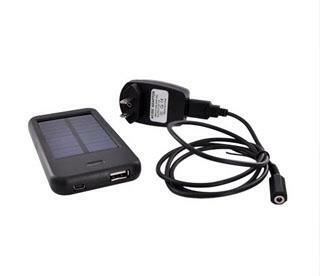 Have one on hand, with full batteries, whenever you travel. 6. Kettle: Having the ability to boil water wherever you are can be a lifesaver. Of course, on the basic level it’s a nice way to have hot tea or coffee wherever you are, but there are other practical uses as well. Hot water can be all you need to make a meal from instant oatmeal packets or ramen noodle, or you can boil water for drinking water if you find yourself without a way to purchase bottled water in a foreign location. 7. Camera: This nearly goes without saying, but many people forget them and need to purchase a mediocre one while traveling. Don’t forget to pack it! 8. iPod/Music Device: Most of the time you will be too busy to use it, but waiting for flights, riding trains, and other activities can be enjoyed more if you have a device to pass the time. 9. Luggage Lock: Having a luggage lock is a great idea for travelers, so you can reduce the chance that things will be stolen from your bags. Choose a TSA approved one if you flying. 10. Pillow: Perhaps not your fluffy pillow from your bed, but even a small blow up neck pillow is welcome during long bouts of travel, and is something many travelers don’t remember to pack. John the author of the “10 essential travel accessories you’ll probably forget” is a guest travel blogger from the New York city.